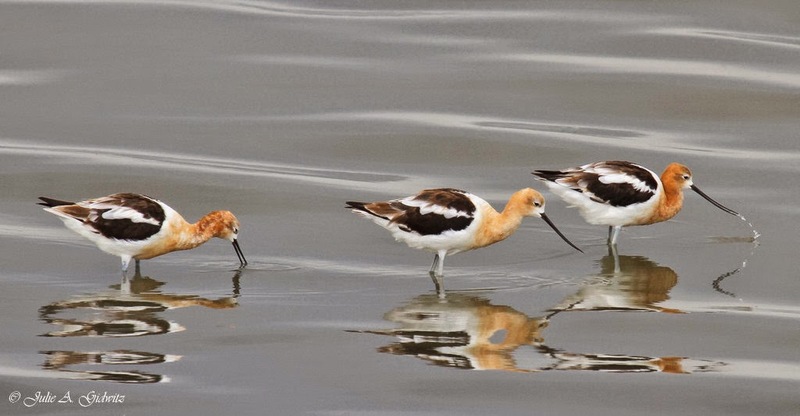 I love Avocets. They are like a piece of amazing art walking around in the water. Gorgeous shots as always Julie! Hello Julie! I didn't realize you had another blog until this morning. 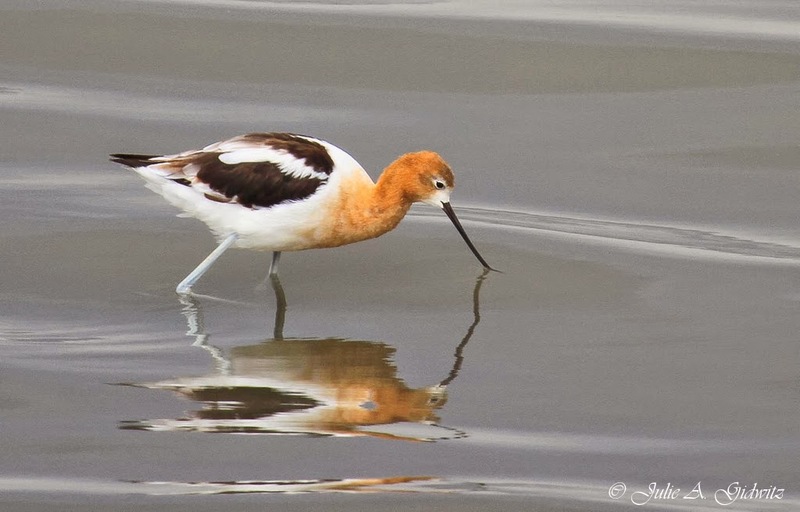 I'm not a birder, but I can still enjoy their beauty and your Avocet photos are wonderful. It really is such a beautiful bird, and you did it proud with your pictures. Oh, Juile! 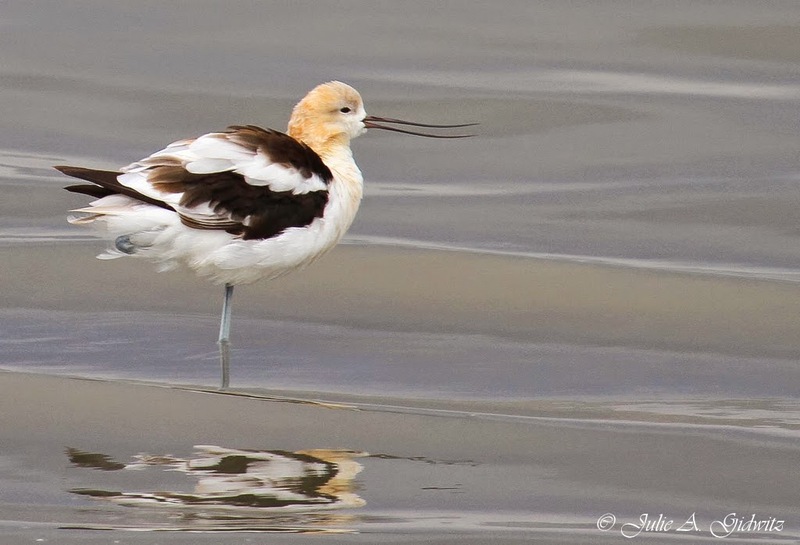 I use to see avocets when I lived in Utah. I love Antelope Island. I am so glad you were able to go there. 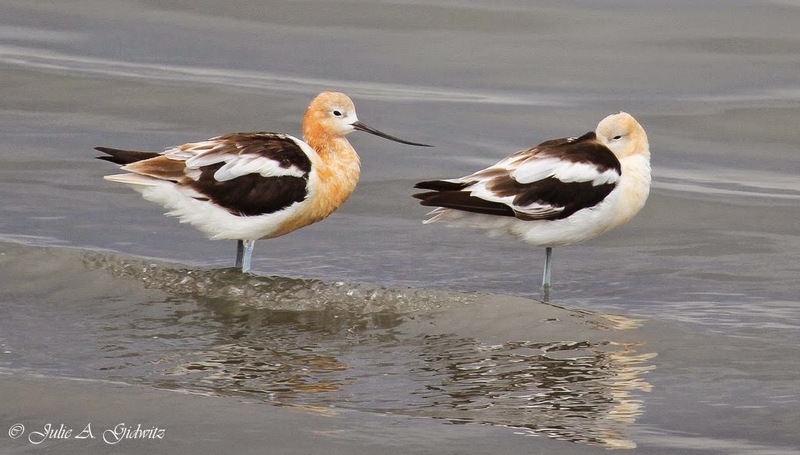 It is a birder's and photographer's paradise! I love the photo of them all lined up in rows like groceries in a grocery store! What fun! I love the reflections in that still water as well. Bellissime fotografie, complimenti. Un felice weekend per te. 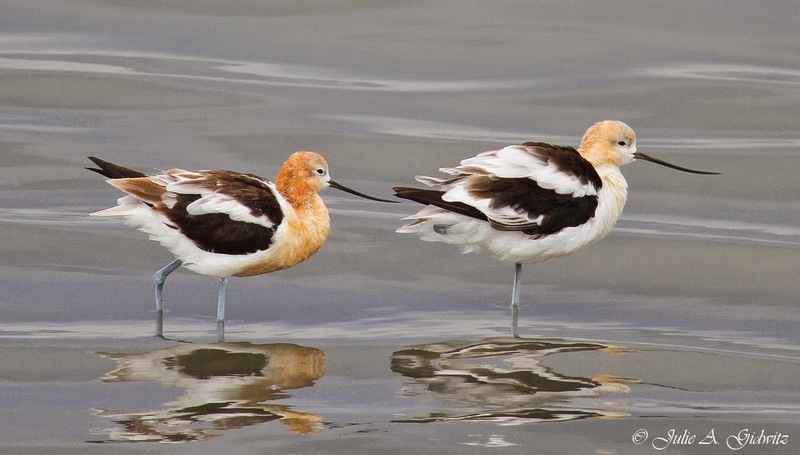 The American Avocets are beautiful birds. It's interesting to see them changing from their breeding colours to their winter colours. 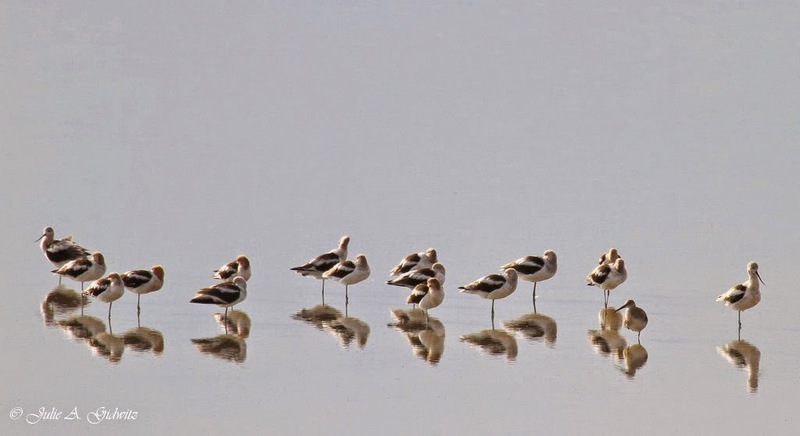 The photo of the rows of Avocets in straight lines is fantastic. I'd like to visit Antelope Island some day too. Thanks for sharing your great photos, Julie!